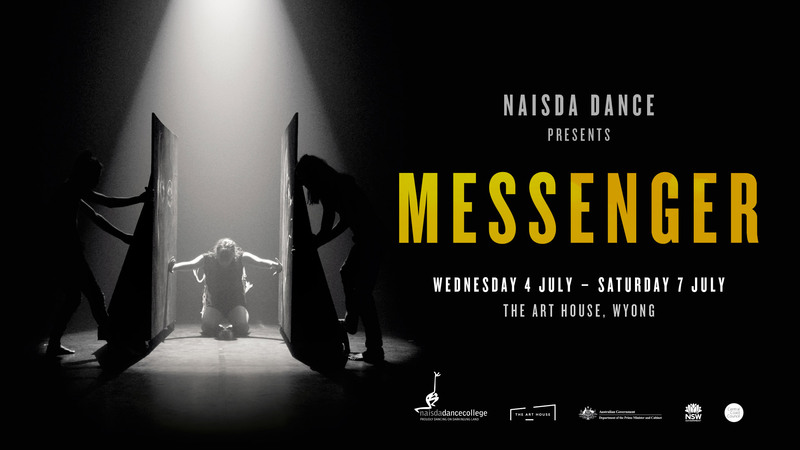 The critically acclaimed NAISDA Dance College celebrates the force of the female spirit with Messenger, its upcoming performance season at The Art House, Wyong from 4 to 7 July 2018. Australia’s leading performing arts training organisation for Aboriginal and Torres Strait Islander students presents a strictly limited season of captivating cultural and contemporary Indigenous dance for Central Coast audiences. Featuring works by some of Australia’s leading choreographers, Messenger has already garnered stellar reviews and comprises four evening performances, two sold-out school matinee performances and a program of associated school workshops. Taking inspiration from the 2018 NAIDOC theme, ‘Because of her, we can!’, NAISDA’s Head of Creative Studies, Frances Rings, said that Messenger proudly acknowledges our mothers, grandmothers, aunties, sisters and daughters as an important presence in our lives. “Their stories of struggle and achievement and unwavering fight for a better existence, empowers us, not only to connect with our past, but to be inspired by a dynamic and vibrant future,” said Frances, who has curated the production. “Messenger speaks to the force of the female spirit as she guides us to come together as a community to say, ‘Our Art is powerful, our identity is strong, and we affirm our commitment to a culturally rich and diverse society for future generations’,” continued Frances. Audiences will enjoy an inspiring evening of dynamic dance including cultural Yolngu dances from the Dätiwuy Clan in North East Arnhem Land. The program will also feature lyrical contemporary work by notable guest choreographer, and NAISDA graduate, Sani Townson, inspired by his Torres Strait Islander heritage. Tickets to Messenger are now on sale and can be purchased via The Art House website www.thearthousewyong.com.au or by contacting The Art House on (02) 4335 1485.